At the time of writing it is currently predicted that 11million vehicles are affected worldwide including 1.8million commercial vehicles. Unfortunately, thanks to previous government schemes promoting diesel as a cleaner alternative to petrol, a large amount of commercial vehicles on the UK’s roads have diesel engines, meaning tens of thousands of people could be affected. How did VW cheat the emissions tests? These days most cars have an on-board computer which is used by both mechanics and testers to understand the functionality of the vehicle. 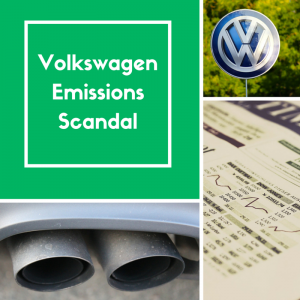 However, as with most computers, VW was able to manipulate the software installed on some of their models so that when an emissions test was carried out the results would not be accurate. The words “sophisticated software algorithm” is how the technology is being described, which put simply means a computer program that affected the test results. How was VW caught out? Unfortunately for VW, last year the not for profit organisation the International Council on Clean Transportation ran some independent tests on VW models to understand more about their diesel emissions. However, unlike previous testers, the International Council on Clean Transportation performed real-time testing on the actual fumes coming out of the exhaust instead of relying on a computer. The results spoke for themselves. How do I know if my VW van is affected? It is currently estimated that a total of 1.2million vehicles are affected here in the UK with 79,838 being commercial vehicles. Right now the company has said that they have no plans to recall any of the vehicles affected, however they have stated that they will be contacting customers who own affected models in the near future to have the software that corrupts the emissions tests removed. My van is affected – will this cost me? Unfortunately there is no clear answer to this question right now. Naturally, the company will not be charging owners for having the software removed, however there are other financial issues that owners are concerned about. For example, some are concerned that their road tax may increase now that their emissions are higher or that the resale price of their vehicles will drop considerably. Whilst there is currently no definitive answer as to whether owners will receive any compensation, lawyers in countries across the world are starting to put cases together. What does all this mean for Volkswagen? Things are looking dire for Volkswagen right now as not only has their share price plummeted but it’s rumoured the company could face $18billion in fines. That’s not taking into consideration the fact that they will also have to spend money on removing the software from 11million vehicles and may also have to pay compensation to all affected. Furthermore, the reputation of the company has been badly damaged, meaning in the long term sales of VW vehicles could massively decrease worldwide. Even if the company can afford to pay for their mistake now it’s unlikely that they will recoup this money any time soon. So if I don’t own a VW vehicle then I’m OK? Again, there is no definitive answer to this. One thing we do know is that certain models of Audis, Seats and Skodas are also affected as they all sit within the VW family. One thing that may come out of this is that the motoring world in general may soon be subjected to new tests that will make sure that no other companies are taking part in similar emissions scams. Furthermore, this could be the death toll for diesel vehicles in general as over the past few years it has been revealed that they are extremely harmful to the environment. In summary, it’s unlikely that this issue is going to go away anytime soon, in fact it’s likely to have far reaching effects for a number of years. Owners of Volkswagen commercial vehicles are naturally concerned that this will affect them financially, especially if it means that they will eventually have to purchase a new vehicle to carry out their business. Only time will tell how Volkswagen will manage this catastrophe, however a solution is a long way away.